US Senator John McCain said that Ukraine’s future is with Europe and voiced his support for pro-EU protesters after meeting with Ukrainian opposition leaders in the country’s capital of Kiev on Saturday. During the meeting with opposition leaders - former boxing champion Vitaly Klitschko, former economy minister Arseny Yatsenyuk and far right nationalist Oleh Tyahnybog - McCain was asked for more than just moral support from the US – referring to the possible introduction of sanctions, Unian news agency reported. On Friday, US Democratic and Republican senators introduced a resolution that asks the US to consider the use of sanctions against Ukraine if violence against protesters continues to take place. The resolution urges a “peaceful and democratic conclusion” to the demonstrations. McCain has said that he believes the resolution will be adopted swiftly and unanimously by Washington, Ukrainian Pravda quoted him as saying. McCain also met with Ukrainian Foreign Minister Leonid Kozhara. International players have been involved in the demonstrations from the start; the pro-EU protests in Kiev have received visits from western politicians who have condemned Ukrainian authorities for their actions. 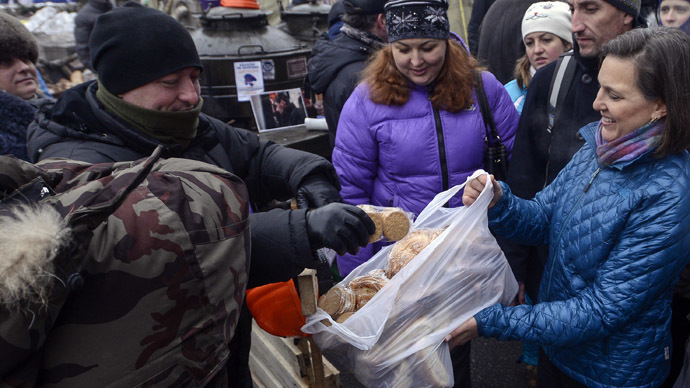 Earlier this week, US Assistant Secretary of State Victoria Nuland handed out snacks to protesters on Kiev’s Independence Square. EU foreign policy chief Catherine Ashton also met with both the Ukrainian government and the opposition, and visited Independence Square to see the protests firsthand. Tens of thousands of people from across Ukraine gathered in central Kiev for rival anti- and pro-government rallies on Saturday, once again showcasing that protesters are unlikely to back down anytime soon. 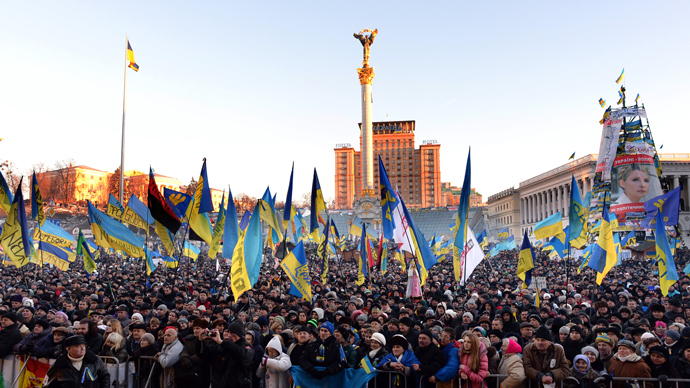 The Ukrainian ruling Party of Regions has estimated that some 200,000 of its supporters came out to Kiev's European Square to back President Viktor Yanukovich and his cabinet’s anti-EU move. But despite the party’s estimate, local police put the number of activists at around 60,000 people. Meanwhile, President Yanukovich suspended the city’s mayor and top security official over the brutal eviction of protesters on Saturday. Prosecutor-General Viktor Pshonka said that four top officials - the deputy secretary of the National Security Council, Kiev’s mayor, and then-head of Kiev police and his deputy - are being investigated on suspicion of abuse of office in the crackdown against protesters. 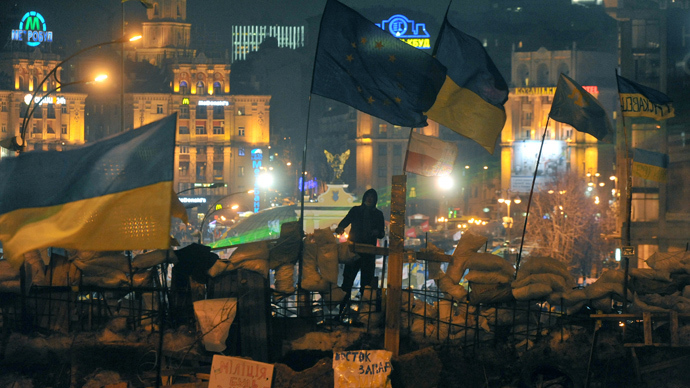 Unrest in Ukraine began on November 21 when Yanukovich refused to sign an association agreement with the EU, sparking mass protests.